From my conversations with friends, I can safely say that one of the best way to release stress (and to get away from work) is to go on a Holiday Trip! It is also one of the best reasons to spend all the hard-earned money (in a good way)! I will definitely agree that going on a Holiday trip is good way to release stress as well also a chance to see the world and experience some new culture outside! But the sad thing out of this activity (especially if this is going to be a regular one) is that it’s definitely not going to be cheap! But if you really like Traveling and you want to save some money in the process of planning… I do have some tips that you can consider! For a start, I will not recommend that you buy the Travel Deals from Travel Fairs but more of going there to get some ideas on the best destinations to visit and where to go sight-seeing. If you do want to buy your travel deals there (and to avoid losing out), do consider the rest of the tips mentioned below first as they will give you a rough estimate of charges involved! You really have to Love The Internet because you get all the good deals and discounts online. Most importantly, you get to have choices and different options. The majority of expenses out of a Holiday Trip comes from a comfortable Hotel stay and to save money on this, you can go to those Hotels Search Engine to do some comparisons as well as to lock in those special online deals. Note: These are some of the resources that I am currently using to plan for my holiday trips and I have signed up as their affiliate partner as well which means if you do successfully sign up for the deals, I will get a small commission out from it. Just key in where you like to visit, the dates that you will be going and the number of people going on the trip and this Search Engine will search all Travel Deals Site and give you all the available prices! You can even do different sorting like the number of Stars (Hotel), Distance, Price and Guest Rating. Do a search in the search engine with the city that you are planning to visit and the Search Engine will provide you with the list of accommodations that you can rent. If this is the first time that you can using this option, please do understand the terms and conditions involved (since you will be staying over at someone’s house) and what you need to take note to ensure that your stay is an enjoyable one! You can do a search by stating the departure and arrival destinations, the date of leaving and arriving and the search engine will bring you a list of different ticket rates offered by both the big name carriers and budget carriers. You can also save some money on Food when you are on a Holiday by looking for Special Deals offered by the local Restaurants (No More Instant Noodles or Biscuits). 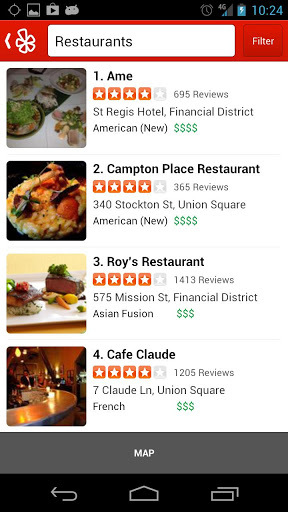 One favorite app that I can recommend is Yelp which is available for both Android and iOS Mobile Devices. Though this may seemed to be a “money-out” event but it is definitely worth to get it. I have seen how some of my friends (and myself) fell sick during and after the trip, experienced some form of travel delays or damages to luggage… a Travel Insurance does cover some coverages against these and you can do a claim for it when you are back from your holiday! If you want to get more out of exchanging your money into foreign currency… do not do it in the Airport. If you are a Singaporean, visit the Chinatown Area and make your exchanges over there. You can definitely get a more favorable rate when you do your exchanges there! A checklist can help to remind you what needs to be bought and brought so you can avoid forgetting what you need to bring and having to pay for it when you are at your holiday! I do hope that these simple 7 tips can help you save some money for your Holiday Trip!